non on-line task project management or consulting. managing assistance for non economic sustainable development projects. Project management consulting for economic development organizations. 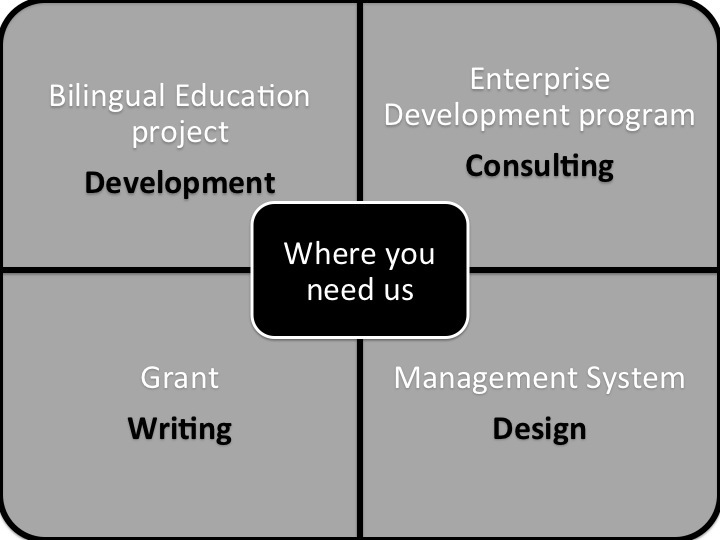 Project management consulting for NGO´s which are focused on Latino America region. Expertise in project consulting focused on Women´s economic development. Designing your project to apply for a financing fund or a donor program. Prospecting local initiatives to facilitate donors and investors to fulfill their missions and action objectives. Developing your project management system. Auditing your project management system to make it more efficient and transparent.